Which top platforms are easiest to develop for? In the mobile software world, developers are considered vital to the health of platforms, of which they have several to choose from. 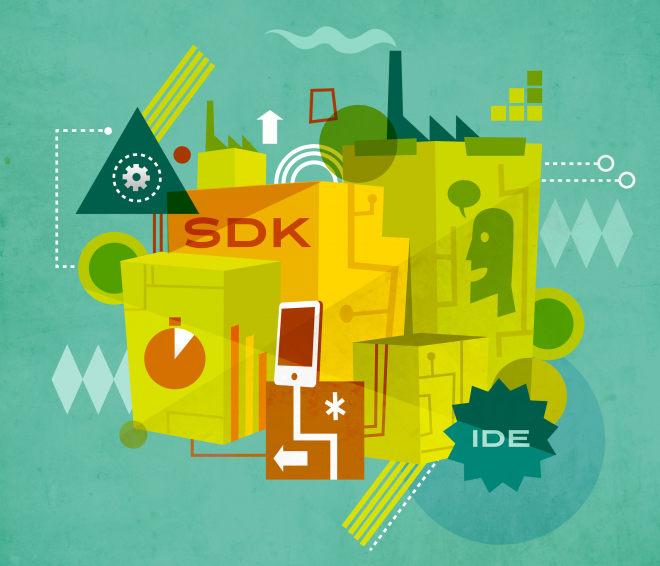 Platform owners have to work very hard to make sure their SDKs and tools are easy to use. 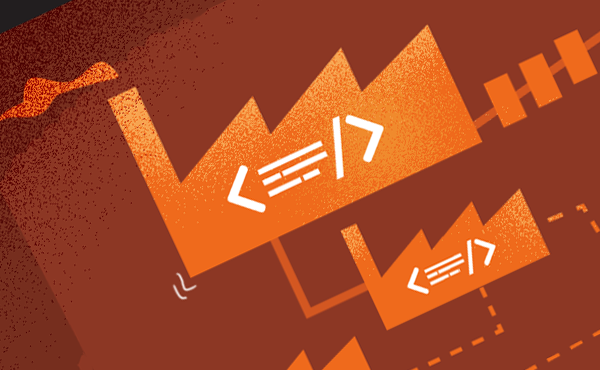 Too much friction, too little documentation or too steep a learning curve can drive developers away. Which platforms are the easiest to develop for? 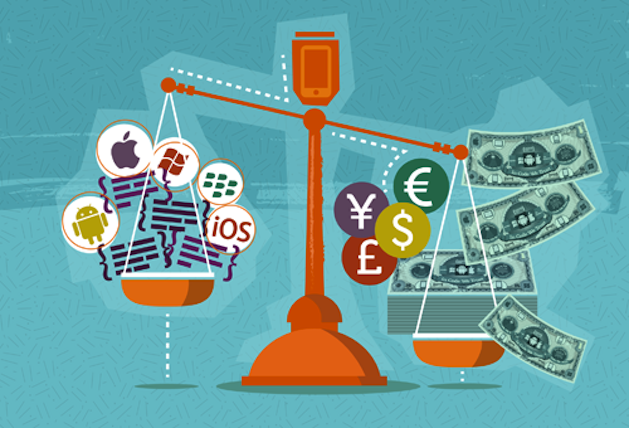 How much does it cost to create a successful app? Revenues from Android apps saw tremendous growth in 2013. If you look at the headline global figures then revenues from Android apps on Google Play are rapidly closing on those from iOS apps on the App Store. It looks extremely likely that 2014 is the year that Android will overtake iOS in total app revenues. However, dig a little deeper and you’ll find the distribution of revenues, both geographically and across apps is rather different. If you’re planning your platform strategy for this year then a dive into the details might prove invaluable. In an earlier post we showed how enterprise app developers make 4 times the revenue of those developing consumer apps on average. Targeting enterprises with apps can be very different from building consumer apps and not all developers prioritise revenue, so it’s not for everyone. 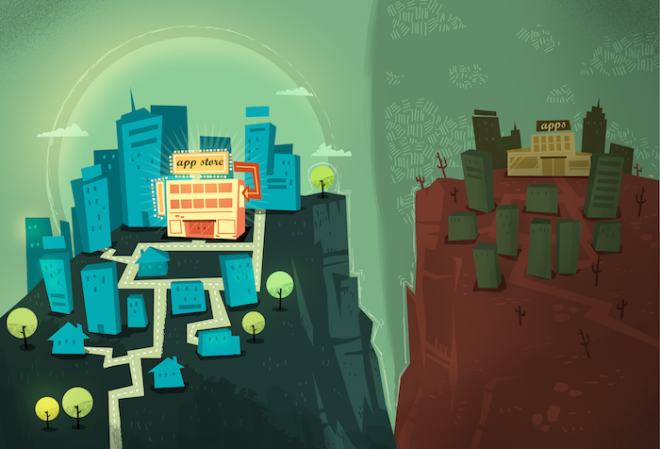 Do you want the indie developer lifestyle, or to build a company? What sort of contact do you want to have with your customers? Do you like consulting work or do you prefer to build your own products full time? Do you have a strong development platform preference? Depending on your answers to these questions you might find one of the 4 reasons below keeps you focussed on consumer apps for the foreseeable future. The mobile apps business is maturing and while most of the media attention is still focussed on the latest app store success stories, developers are finding lots of better ways to make revenue with their apps. 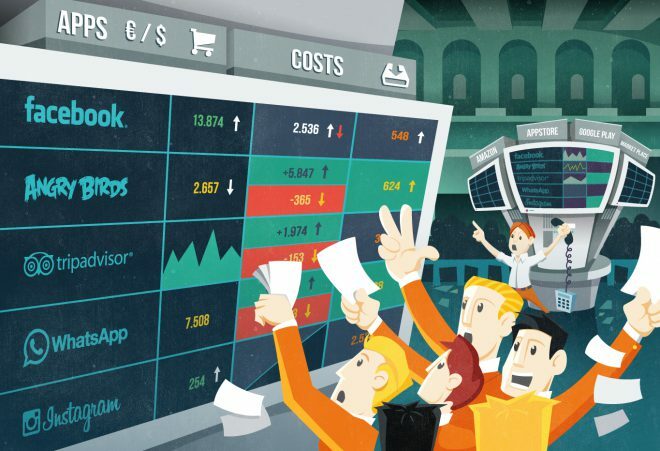 Considering all revenue sources, which categories of application are generating the most money and what’s the competition like on each platform? On desktop computers web apps have come to dominate many application categories. 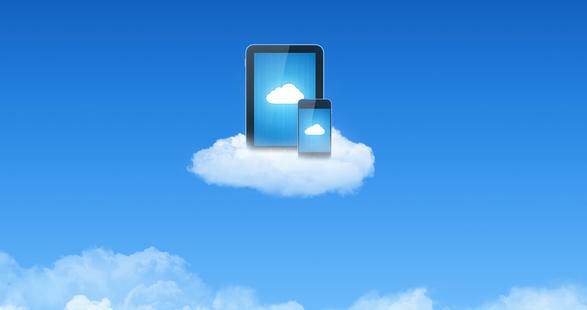 They are easier to develop and deploy across multiple platforms and it's possible to iterate much faster. A very large number of developers would like to be able to apply the same technologies and techniques on mobile devices but very few are able to do so successfully, particularly for mass market consumer apps. One of the most important reasons for this is performance. Resolving this issue is much more about politics than technology. 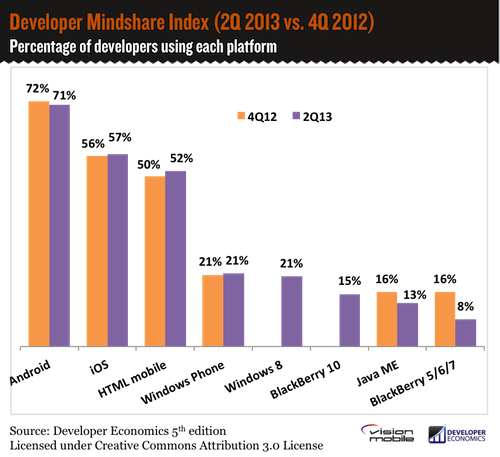 Is HTML5 the 3rd horse in the race? We’ve just completed the largest developer survey to date and the results are starting to come in. 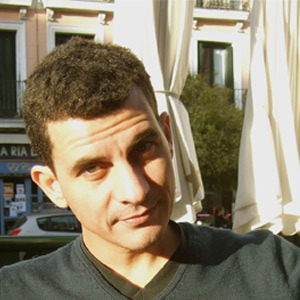 Marketing Manager Matos Kapetanakis discusses some early insights, focusing on platform mindshare and the role of HTML5. 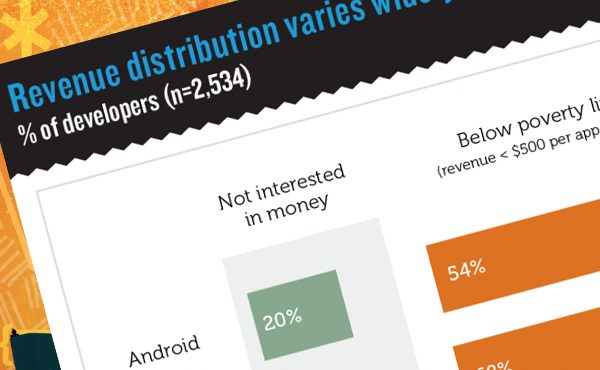 How do app developer revenues vary by country, or platform? 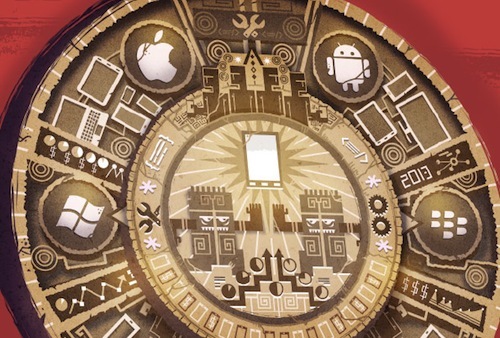 Does the number of platforms make a difference to app revenues? Which models bring in the most revenues? 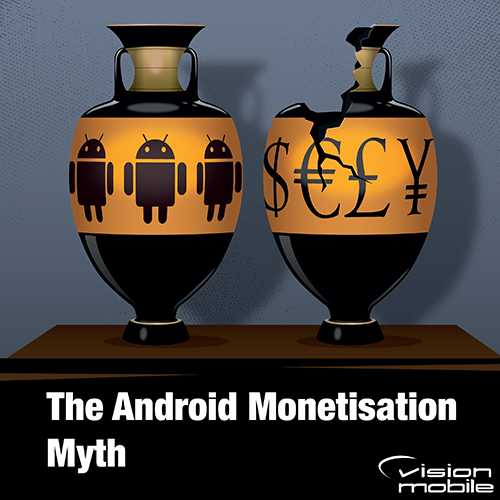 We revisit Andreas Pappas' November analysis of app monetisation with more insights from our Developer Economics 2013 survey across 3,400+ developers.